British folk and roots duo, Honey & the Bear, combine delicately interweaving vocal harmonies with emotive and evocative songwriting. With a diverse range of sounds and textures, and rhythms that flow from the fast and furious to gentle ballads, their live performances are spirited and dynamic. Conjuring stories in song, they tell tales of Suffolk folklore, courage, passion and heartbreak. The multi instrumentalist pair, comprised of songwriters Jon Hart (guitar, bass, bazouki) and Lucy Hart (guitar, ukulele, bass, banjo, mandolin & percussion), have been writing and performing together since early 2014, having met at a songwriting event two years previous. Since then, they have played at many revered venues and festivals across the UK as well as travelled across the channel for their first European tour. 2019 sees the release of their first full studio album ‘Made In The Aker’ with a UK tour to follow in October. British folk and roots inspired duo, Honey & the Bear, combine delicately interweaving vocal harmonies with powerful guitar riffs, foot stomping rhythms and catchy melodies. 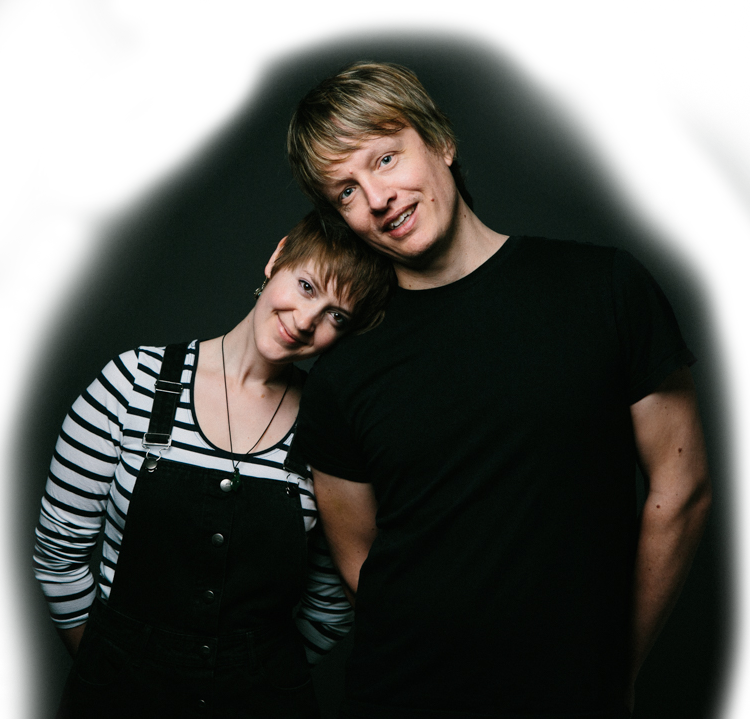 The multi instrumentalist pair, comprised of songwriters Jon Hart (guitar, bass, mandolin) and Lucy Sampson (guitar, ukulele, bass, banjo & percussion), have been writing together since early 2014, having met at a songwriting event two years previous. Since then, they have played many venues across East Anglia as well as travelling to Germany for their first European tour. Together they have played an array of fantastic UK festivals including Ely Folk, FolkEast and Maverick. 2016 saw the release of their debut EP ‘About Time’, which received airplay on BBC Radio Suffolk, as well as Cambridge Radio & Norfolk Radio. Born and raised in Suffolk, Lucy learned violin and drums at school, sung in the Suffolk Jubilee choir and started songwriting at age 15. She taught herself guitar whilst at university in Canterbury, and began performing her creations not long afterwards. At 27, she released her debut band album ’Step Right On’, songs from which you now hear her perform with Jon. Jon, a Yorkshire boy, raised in Cambridgeshire, Norfolk and Suffolk, has been performing his own songs since his teens. A self taught guitarist, his love of driving guitar riffs is a core aspect of his song writing process. He has released three band albums, the latest of which was entitled ‘Level with me’, featuring ‘wristburner’ which is a gig favourite. The amalgamation of both their unique musical styles makes for a dynamic and ever-changing live performance.